Call Toll-Free 855-729-6371 for a Free Consultation. We provide more than just drug and alcohol test results. We are experts in substance abuse testing and understand the implications of the results we provide. Drug and alcohol testing is a necessary part of our world. The disease of drug abuse kills thousands of individuals every year, devastates families, destroys businesses, and costs our economy billions of dollars. The most effective method to combating this deadly and costly epidemic is to stop it before it starts. Paymer Associates is a full-service drug and alcohol testing firm. Before we recommend a testing protocol, we will assess your needs and help you decide the best and most cost effective program to meet your needs. Whether you are a parent that wants to test your teenager at home, or a global corporation, we will walk you through the process of implementing an effective testing program. 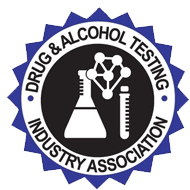 Our mission is to provide confidential, high-quality, cost effective drug and alcohol testing services in an ethical, professional and efficient manner. We work with everyone from individuals and families to small businesses and corporations. We help you make informed decisions and provide you with an understanding of the results so you can keep your loved ones or your workplace safe and drug-free. Drug abuse and alcoholism is a fatal, progressive disease. We believe we should actively engage in the community to help people overcome this disease. Thus, Paymer Associates donates 5% of all its proceeds to non-profit organizations whose mission is to help individuals and families overcome drug and alcohol abuse and live healthy and productive lives. Copyright © Paymer Associates 2015. Use of this site is subject to this Legal Notice. Any use of content or images contained herein is strictly prohibited without the express permission of Paymer Associates.